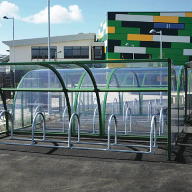 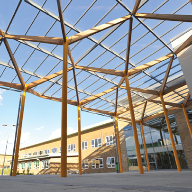 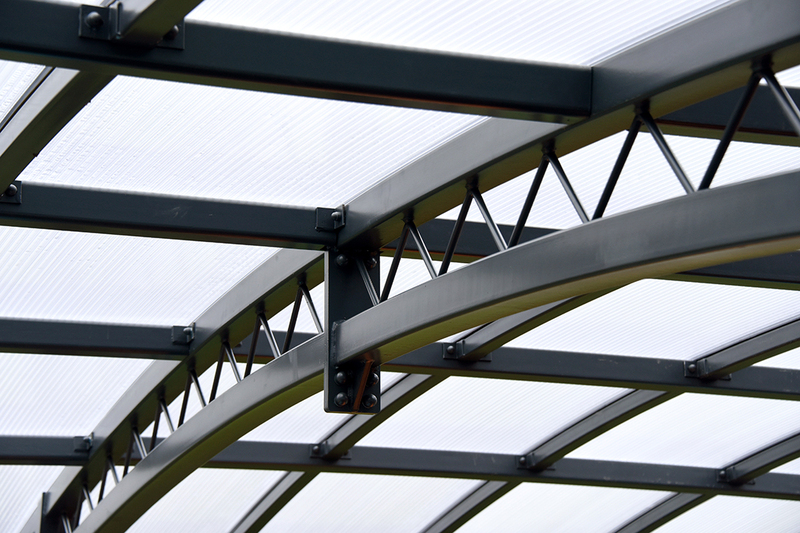 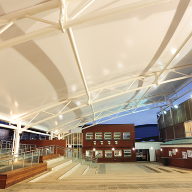 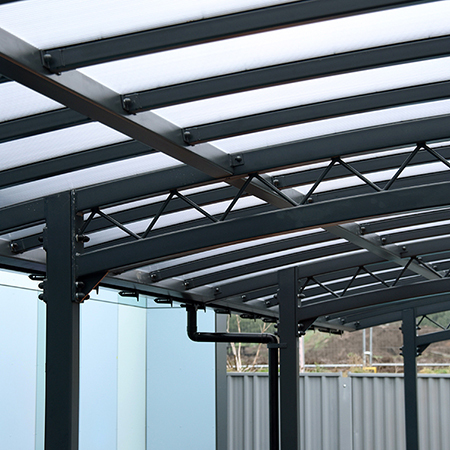 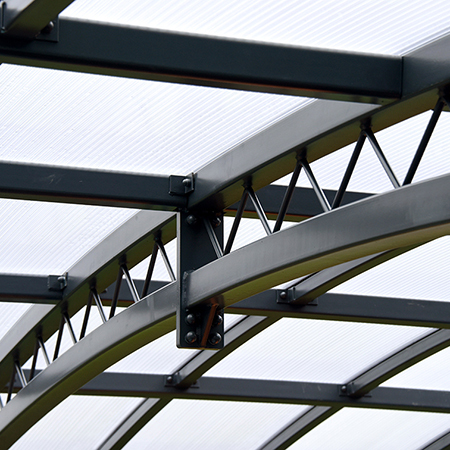 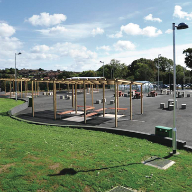 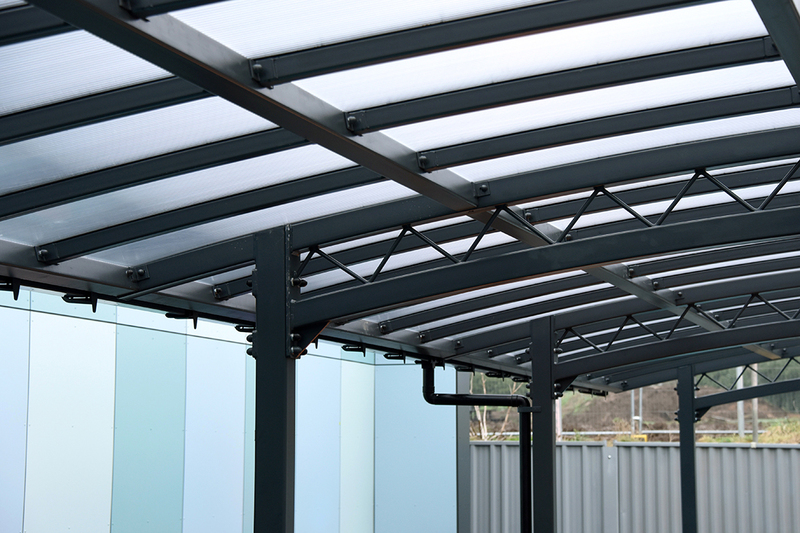 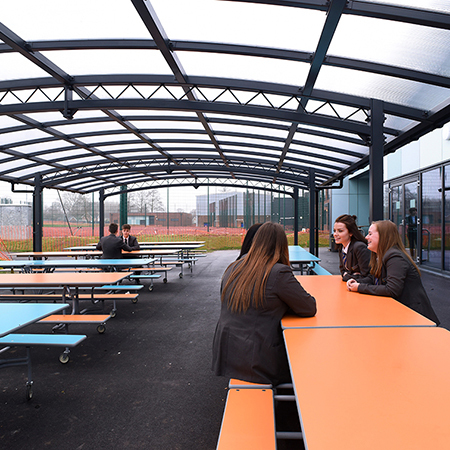 Broxap installed a large scale Newcastle Lattice canopy at Baysgarth School, North Lincolnshire. 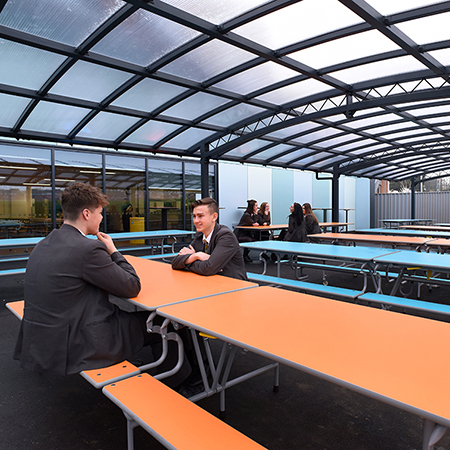 The school wanted to create a large dining area for pupils to eat outside and free up space in the main dining hall. 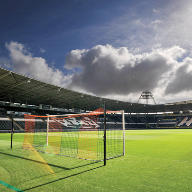 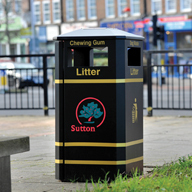 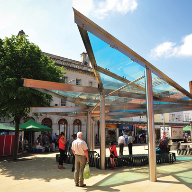 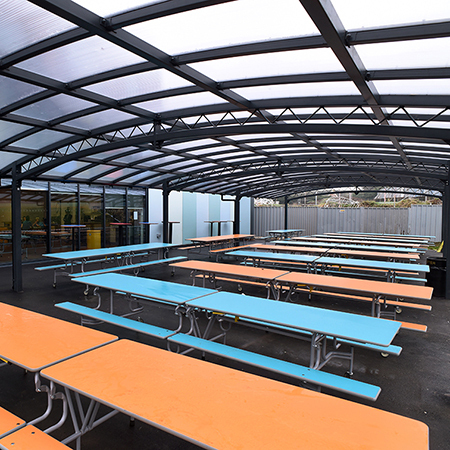 Broxap provided the larger canopy as well as the coloured dining units. 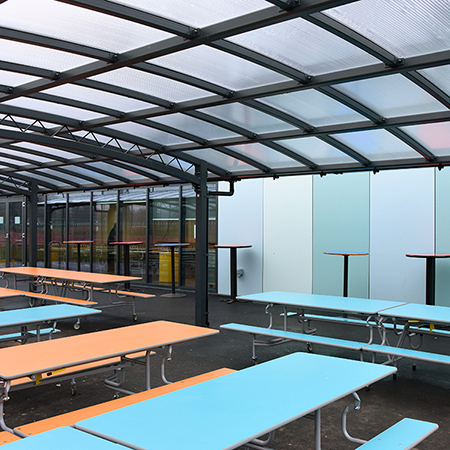 A range of picnic tables were selected for under the canopy and standalone circular tables were added to one side. 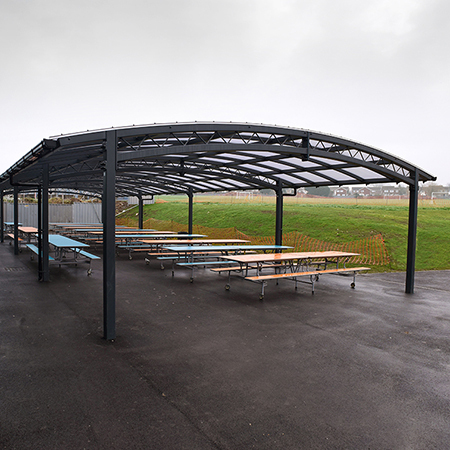 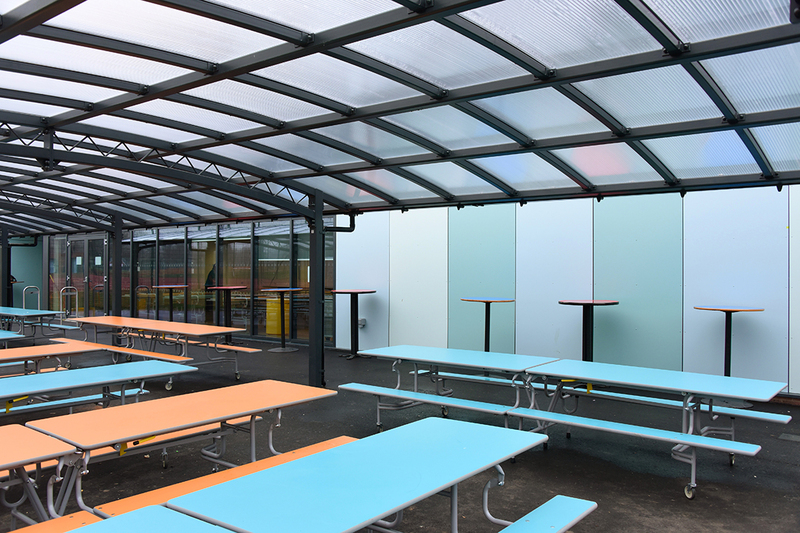 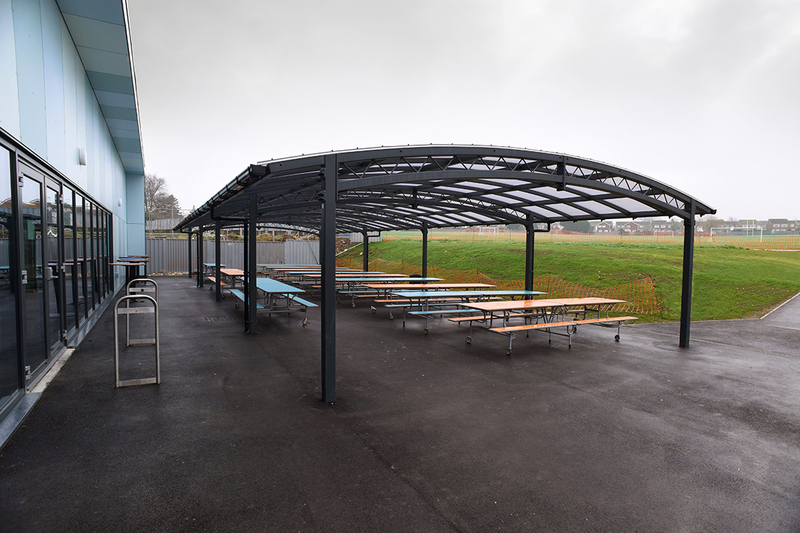 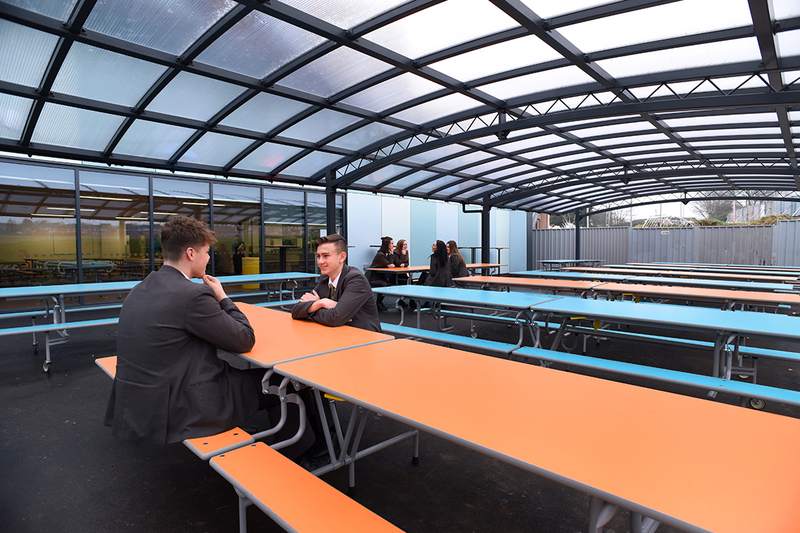 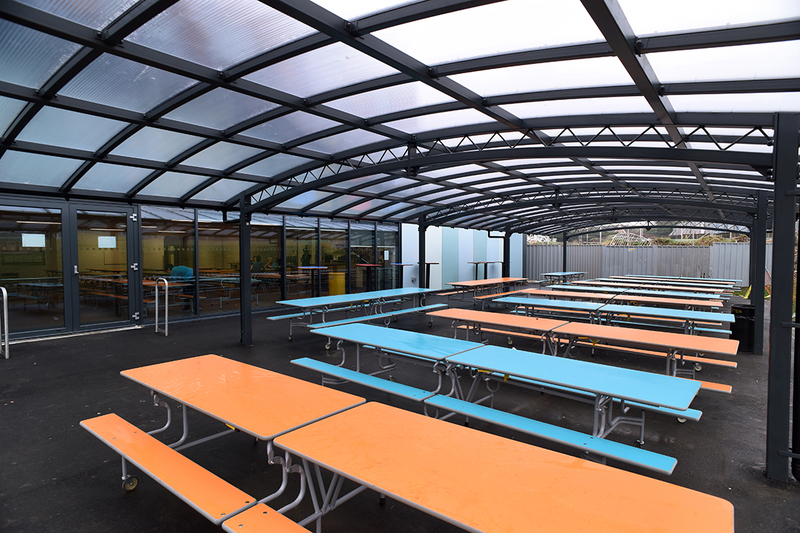 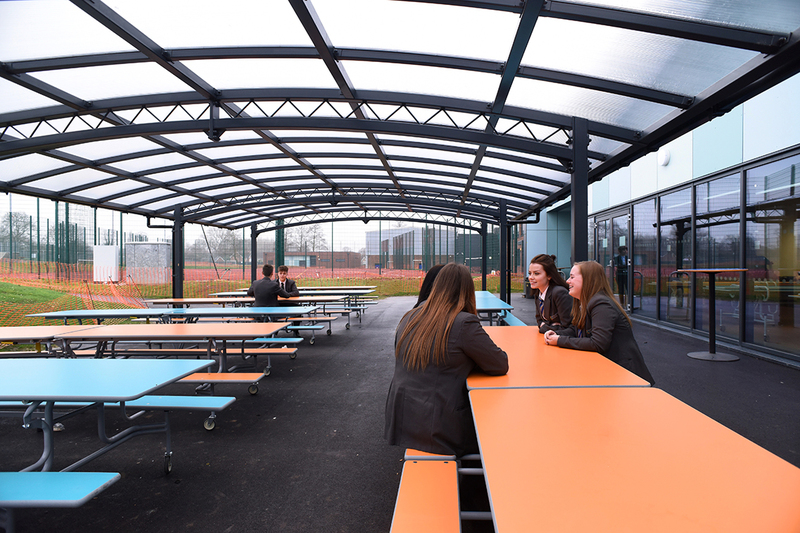 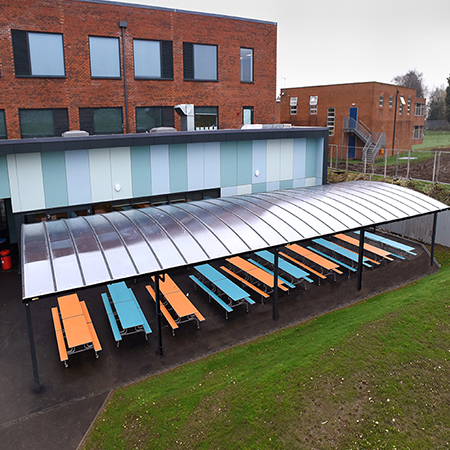 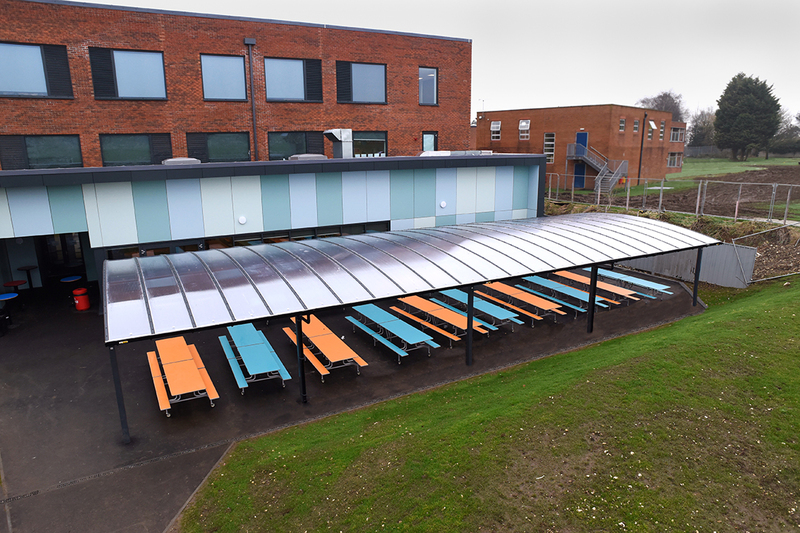 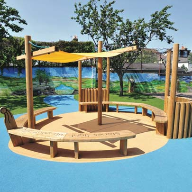 With Multiwall roof cladding to give protection from UV Rays and also inclement weather pupils can now sit beneath and eat their lunch in a fresh, bright environment.